Nature hotels! Country houses, hotels, accommodations and apartments in natural surroundings! 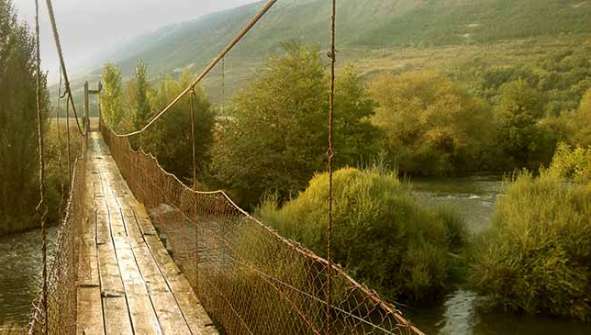 Are you looking for Hotels, Country houses, chalets, lodgings or apartments with a connection to nature? Rusticae has selected the best hotels with amazing locations. Every once in a while, nature calls us to disconnect from life in the city to go relax in a green environment. Thanks to this collection of boutique hotels in nature, silence, tranquility and unique landscapes are guaranteed. A green field is the best therapy against stress. The pure air, the tranquility and the natural landscapes help us to disconnect. We can perform those activities that we haven´t done for a long time, such as walking in the woods or riding a bike, or releasing adrenaline with some adventure sport. If you want to spend a few days in a hotel located in a natural park, in a mountain village, in the middle of a valley, next to the sea, on the banks of a river or between vineyards, come to one of these Rusticae nature hotels. Naturally!